← Yeah, it’s like that! 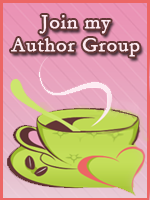 Looking for a guided blog hop? Well, look no further. Pamela Mason of the WriterMason blog is spreading the word about a couple new features she’s dreamed up. If you haven’t seen them, on Facebook, she’s Pamela V Mason and on Twitter, PamelaVMason or look up the hashtag: #designwrite. This Friday she’ll have an interior design professional online to help us whip our writing offices or writing spaces (if you don’t have an actual, dedicated office) into shape. How awesome is that? I’ll be looking for new tips and ideas to flesh out the plan I already have. Can’t hurt, right? Maybe you’ve been trying to carve out a writing space, but just can’t find a corner to fit in. I bet Pamela and her designer friend Erika will be able to help. If nothing else, drop by her blog, take a look at the lovely writing spaces and dream up one of your own. My fav is the aqua one as that’s the color I chose for my office. Love it! Petit Fours and Hot Tamales is hosting author Lindi Peterson today. Lindi is issuing an invitation and giving away a copy of her new book, Her Best Catch. Under The Tiki Hut’s Carol Kilgore is continuing her Wednesday author showcases by hosting my friend and PFHT sister, Marilyn Baron along with her e-book, A Choir of Angels. This entry was posted in Everyday blather, Going Places, Random Bits and tagged #designwrite, design, Pamela Mason, petit fours and hot tamales, Under the Tiki Hut, WriterMason, writing spaces. Bookmark the permalink.